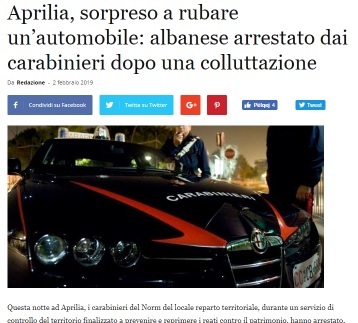 An Albanian arrested in Italy. 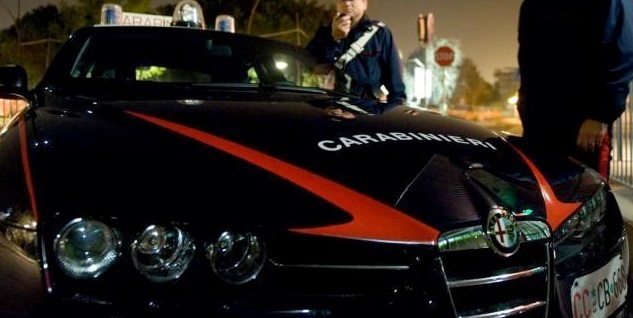 Local media repor that the Carabinieri in Aprilia during the night while patrolling at Artemisio Street arrested an Albanian trying to steal a parked vehicle. It is about the citizen Besnik G, 37, of Albanian nationality and without shelter in Italy. The Albanian is seen at around 3:30 pm as he tried to open a car with screwdrivers. Police say that the Albanian made resistance and clashed with the Police, but despite this they managed to arrest him. He was escorted to the Latina prison, at the disposal of judicial authorities.